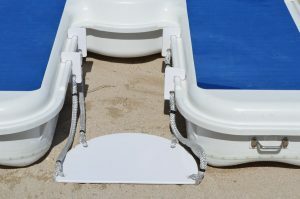 Is it easy to get on and off the Seaduction Float?? Yes, in shallow water it’s easier than a blow up float. 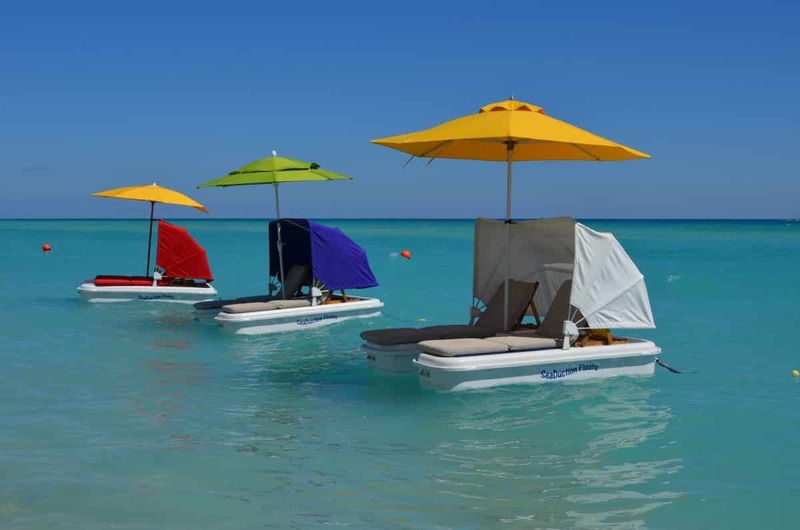 In deeper water, we offer an optional boarding platform. 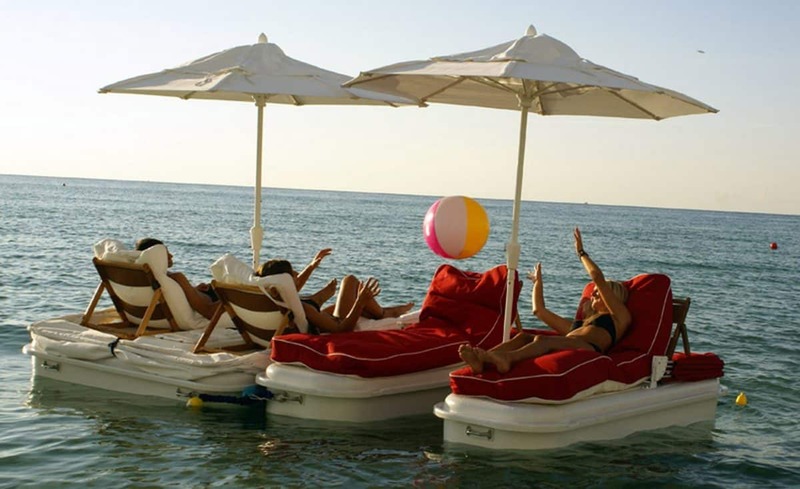 Can I use my Seaduction Float out in the ocean? We recommend enjoying the relaxing waves inshore. You can face the ocean for privacy or the beach to be part of the scene. Can I stowe my belongings?? 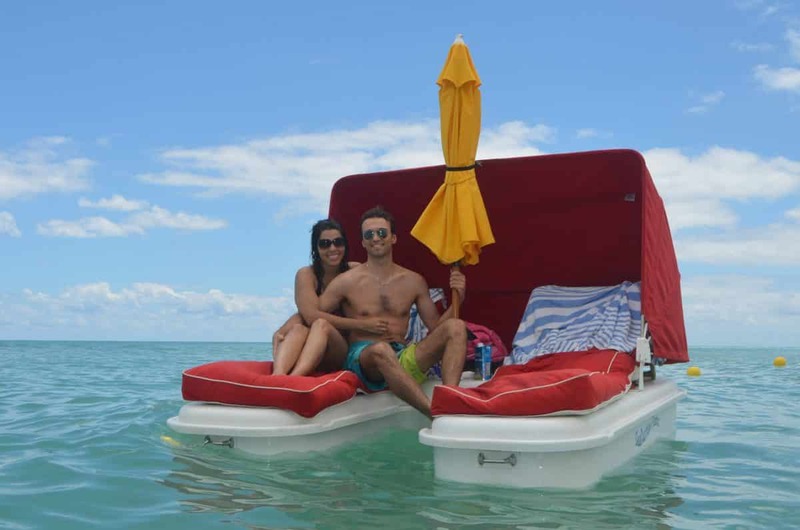 Seaduction Floats boast a lockable dry storage and an insulated cooler. Can a Seaduction Float tip over? Seaduction Floats are inherently stable by design. 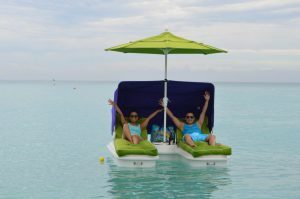 Atlantic Beach Clubs Four, Inc.
Be sure to join our mailing list to receive the latest news on which resorts and cruise lines have SeaDuction™ Floats along with special deals on daily rental packages.